Carol Klein talks about bringing in late autumn colours to the garden. The Garden News team take cuttings from hebes, divide persicaria and plant out perennials. Our Garden of the Week is an urban woodland plot! Read features from Garden News' expert contributors Geoff Hodge, Medwyn Williams, Martin Fish, Terry Walton, and 'Problem Solver' Tony Dickerson. Pi c k up your copy in shops, or subscribe to Garden News today! Carol Klein grows perennial plants from divisions. The Garden News team take hardword cuttings of fruit, bubblewrap the greenhouse, harvest pears, sow poppies and plant up hellebores. Our Garden of the Week is a garden designers plot in Hertfordshire! Read features from Garden News' expert contributors Geoff Stebbings, Medwyn Williams, Martin Fish, Terry Walton, and 'Problem Solver' Tony Dickerson. 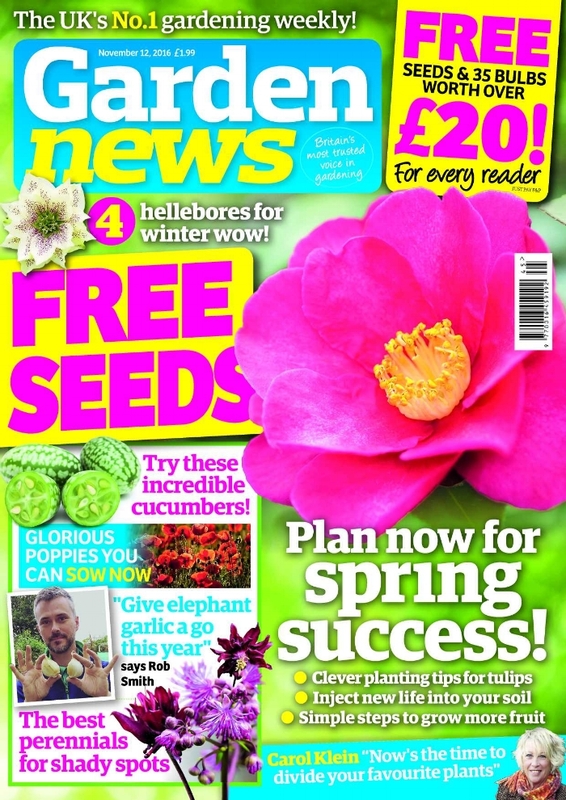 Pick up your copy in shops, or subscribe to Garden News today! Carol Klein collects seeds from late flowering perennials. The Garden News team sow hardy peas, raise carrots, thin winter salads and dig out long rooted weeds. Our Garden of the Week is a seaside site transformed into a coastal paradise! 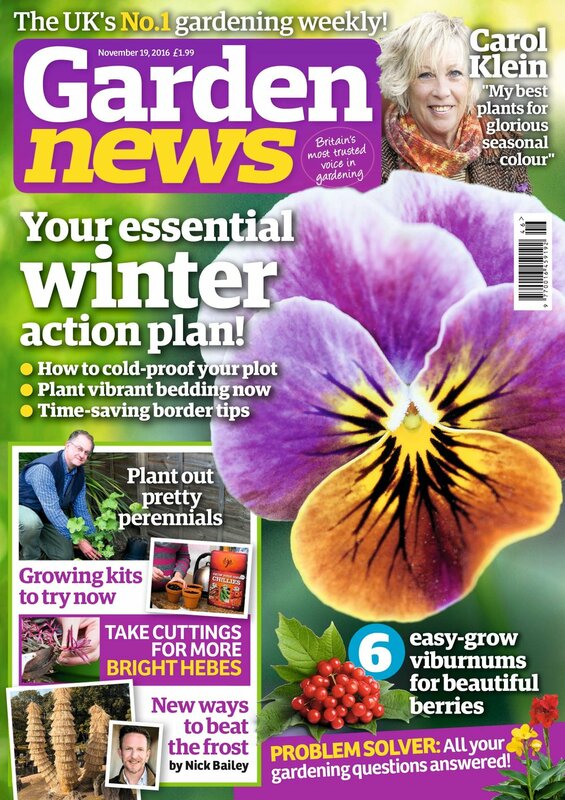 Read features from Garden News' expert contributors Graham Rice, Medwyn Williams, Martin Fish, Nick Bailey, Terry Walton, and 'Problem Solver' Tony Dickerson.